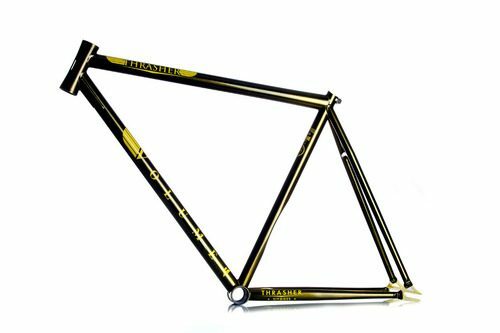 As promised, Volume has posted a full-shot of their new freestyle frame, the Thrasher up on their blog. It’s still in the prototype phase, but expect more details to come in the near future. Lookin good guys. I wanna see a pic of the raw and purple frame. Is that a Spanish bottom bracket?